Getting packages in the hands of recipients while alleviating traffic congestion is the goal of a team of Urban Freight Lab researchers. “It is amazing — the one-to-one correlation between the courses in the Supply Chain Transportation & Logistics Master’s degree program and what I’ve been able to achieve in my work." The Supply Chain Transportation & Logistics Center is a world leader in supply chain, transportation, and logistics research and education serving the powerful nexus of industry, transportation infrastructure agencies, and policy makers. The Center integrates in-depth consultation with industry and the public sector, transformative research, and executive education. We wanted fast delivery. Amazon delivered. What’s next?We wanted fast delivery. Amazon delivered. What’s next? What are the consequences of our addiction to near-instant delivery? Our Anne Goodchild is featured. 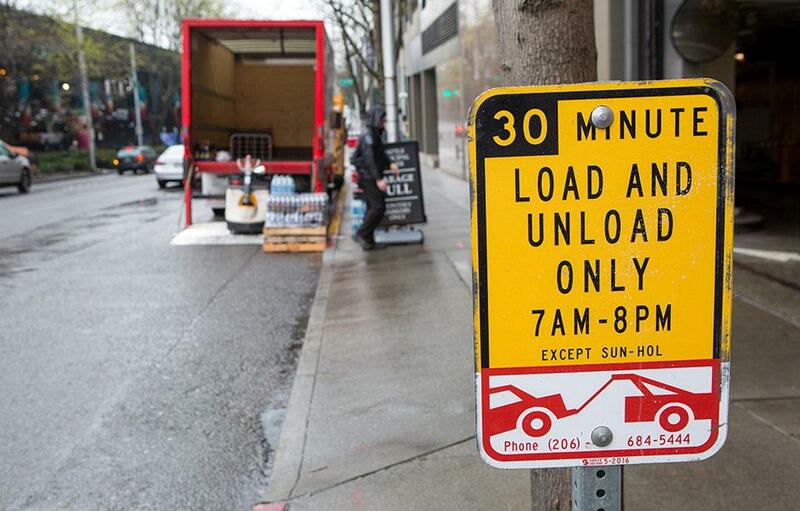 Over the course of three years, Urban Freight Lab researchers will develop technology to inform delivery drivers about parking availability. Student and employer interest is the driving more supply chain and logistics coursework. FreightWaves talks supply chain degree programs, including our Master's degree in Supply Chain Transportation & Logistics.